These days, few sights fail to astonish the general public when it comes to football, and yet, just when one thinks they’ve seen everything, something new graces the pitch. 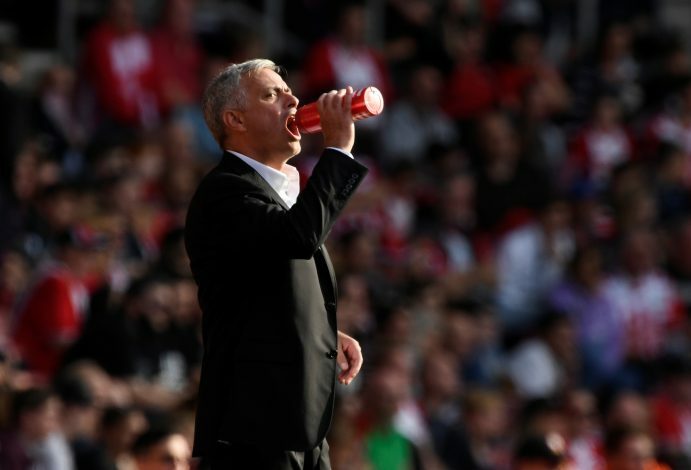 This time around, an interesting spectacle was to be seen off the pitch, as Jose Mourinho and Swansea manager Carlos Carvalhal shared a table during the post-match press conference. Manchester United were able to defeat the visitors to a 2-0 scoreline, courtesy of memorable first-half goals from Romelu Lukaku and Alexis Sanchez. However, as per Manchester Evening News, something interesting occurred behind the scenes that led to the Swansea manager joining Mourinho. Carvalhal had brought cakes, and was distributing them to reporters before the match, but happened to open the door to the Old Trafford press conference right when Mourinho was in the middle of his talk. Stopping in the middle of analyzing Sanchez’s performance, Mourinho urged his compatriot to distribute the cakes to the media and then invited Carvalhal to join him. “The first half was perfect,” Mourinho said. “Maybe one more goal and game over. The first half [was] probably one of the best we played here. The second half was different. I think, first of all, credit to Carlos because he improved the team at half-time. A warm gesture from Mourinho, departing from his erstwhile reputation towards fellow managers.